Platform Suite enables you to deliver information through a web, mobile, or smart solution. Build and extend customized geospatial apps and solutions with a sophisticated set of developer-focused technologies. Hexagon Smart M.App is a simple to use platform any organization or freelance developer can use to build lightweight and dynamic applications targeted to solve a specific problem. It combines content, business workflows, and geoprocessing into a single application to produce powerful visualizations. The primary focus of a Hexagon Smart M.App is to present users with analytical views of what was, what is, what can be, and what will be. Provide and share your own Smart M.Apps and enable your organization to dynamically address their location-based challenges. Enterprise AccessDeliver Smart M.Apps to Your Organization in a Controlled Environment. Dynamic, Interactive Information ServicesPresent information in a simple-to-digest and visually compelling experience. Accessible Across Your Network from Any DeviceAccess Smart M.Apps anywhere within your organization’s network for real-time answers, whenever you need them, wherever you need them. Host Private Smart M.Apps with M.App EnterpriseM.App Enterprise lets you host on-premise Hexagon Smart M.Apps securely across your enterprise. Create, test, refine, and deploy Smart M.Apps for your workforce. Disseminate Workflows with M.App EnterpriseM.App Enterprise lets you build, distribute and share your Smart M.Apps within your enterprise to streamline workflows and make smarter decisions. Focused Business WorkflowsRules definition and workflow configuration tools enable highly focused and efficient workflows without the need for expensive custom code. Intuitive InterfaceSimple interface configured for specific business workflows reduces training overhead while increasing productivity. Data ValidationSimple interface configured for specific business workflows reduces training overhead while increasing productivity. Coordinated Data Access, Models, and WorkflowBetter information sharing, coordination, and reuse prevents inefficiencies, errors, and risks that arise when departments work in data silos. With GeoMedia Smart Client, workflow optimization and intuitive web editing will be a reality embraced across your organization. GeoMedia WebMap supports a broad range of customers who need to visualize and examine geographic data on the Web. From easily creating web services and interactive Web mapping applications to providing sophisticated, Web-based visualization and analysis of your enterprise’s valuable geographic information, GeoMedia WebMap enables users to build powerful geospatial Web applications that securely share your organization’s rich geospatial data. Geospatial portal is a browser-based, multilingual web application that can be used for finding, viewing, querying, analyzing and consuming geospatial data and web services published by other Hexagon Geospatial solutions or third party products. It offers advanced client-side discovery,connection, and interaction through a simple client geo-browser that provides an intuitive and attractive user experience. 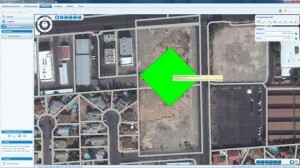 in addition, Geospatial portal integrates multiple sources into a single 2D or 3D mapview that can be easily navigated. Multiple data sources may be integrated into a single map view that can be easily navigated. The Geospatial Portal ensures smooth browsing through intuitive navigation controls and technical advances, such as asynchronous communication that ensures panning and zooming are not interrupted by having to wait for servers to respond. The client’s utility is enhanced by additional tools such as measuring area and distance, controlling the appearance of individual map layers, and saving and recalling the current map context. Geospatial Portal supports all the web services and open standards that a modern SDI client requires. This client solution also provides ISO/OGC compliance and works with INSPIRE discovery, view, download and transformation services. In addition to publishing services, it provides tools for managing, monitoring, and the reporting of service performance. The Geospatial Portal enables advanced functionality including GeoRSS, coordinate transformation (CT) capability, connections to ERDAS APOLLO and other web services, and delivery of data via more web services including WFS (on client side), WFS-transactional (WFS-T), WMS, WMTS, CSW, WCTS, OpenLS, WMC, GML and more. Powerful, Interoperable Spatial Data Infrastructure. Geospatial SDI is a collection of services installed on the server side and developed to support the establishment of customized Spatial Data Infrastructures (SDIs) that deliver high-performance and secure SDI capabilities. Each Geospatial SDI service in the collection is a configurable web service designed to work efficiently in a Web-based environment. The product adheres to Open Geospatial Consortium (OGC®), INSPIRE, and International Standards Organization (ISO) standards for web services and metadata compliance. Geospatial SDI extends standard service functionality with additional features to satisfy business-driven customer requirements; for example, authentication, authorization, quality of service, events logging, reporting, monitoring, and performance measurements. Geospatial SDI can extend Web services offered in GeoMedia® WebMap and ERDAS APOLLO to the full set of services required of Spatial Data Infrastructure (SDI) implementations. 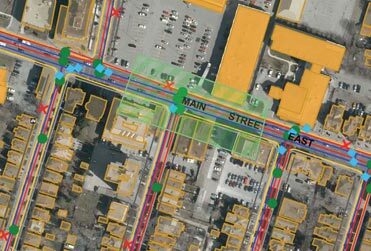 Crowdsourcing to collect data about city infrastructure is quickly growing in popularity. Engaging citizens to report issues helps resource-thin public works agencies by providing them with an added source of actionable information. While cities benefit from enlisting the masses to help define and pinpoint issues, citizens gain an avenue to contribute to their community at large. Mobile Alert is a cloud-based service that provides crowd-sourced incident information to subscribing organizations, such as local governments or utilities. It is available to citizens as a free iOS or Android™ app that allows them to report issues as they are encountered. Subscribing organizations receive the crowdsourced information by e-mail and access the reports through a web portal and Open Geospatial Consortium (OGC®)-compliant web services. Community EmpowermentMobile Alert provides citizens with a simple means to communicate with public officials. Citizens can report issues that concern them, such as graffiti, illegal trash dumping, potholes, and broken street lights or signs. Community members can download the app for free and anonymously submit incident details. The app enables individuals totake a photo of an incident, provide the location, and enter an optional comment. Citizens benefit by being actively involved in improving the quality of life in their communities. Cost-reduction for Public Works and UtilitiesMobile Alert enables local governments to increase their reach and response to issues that require their attention without spending more on personnel or hardware. Reports submitted by watchful citizens are received by a Hexagon Geospatial cloud service and then directed to appropriate personnel in the subscribing organization. Hexagon Geospatial provides the total solution, including the cloud hosting environment, processing logic, and the downloadable application. All installation, software upgrades, support, and maintenance of the system is done by Hexagon Geospatial, removing any IT strain on organizations. Proven TechnologyAt its global launch, Mobile Alert already had more than 75 local governments worldwide subscribing to the hosted system for accessing crowd-sourced issue reports. It has been downloaded by more than 30,000 people worldwide and was recently ranked #1 on the Danish iTunes® store for utility apps. Mobile MapWorks enables you to use your mobile device to update your GIS from the field. Downloadable as an iOS and Android™ app, it provides quick navigation and map display with precise indication of GPS position. Field personnel can use Mobile MapWorks to view and edit feature attributes or make simple changes to feature geometry given reference data overlays. All updates are posted back to the GIS database in real time. You can navigate your data using standard tablet gestures for zoom and panning, and use the tablet camera to take pictures of inspected assets that you can then store in the GIS database. Most importantly, Intergraph Mobile MapWorks works on the same devices that people use in their personal lives, the Apple iPad® and Android tablets. Open Architecture – Mobile MapWorks uses web services compatible with the standards of the Open Geospatial Consortium (OGC®), making it compatible with all GIS platforms on the market and allowing you to work directly in your database without any data conversion, synchronization, or temporary data stores. This open architecture allows field updates to become instantly available to any and all GIS platforms you use on the desktop, web, or mobile devices. Robust Security – You can configure Mobile MapWorks to particular workflows and field personnel and define the types of changes each user can make. Additionally, you can specify backdrop raster data, other overlays of GIS information, and the vector data that a particular user can see and edit. Suitable for a Variety of Applications – Mobile MapWorks can be used for all types of field and site inspection workflows, such as pole or vegetation inspection for utilities or public works, traffic light and bridge inspection for transportation authorities, and cell or mobile tower site inspection for communications companies.